Gold Discovery Star Achievement Trophies. This amazing award measures 280mm high. 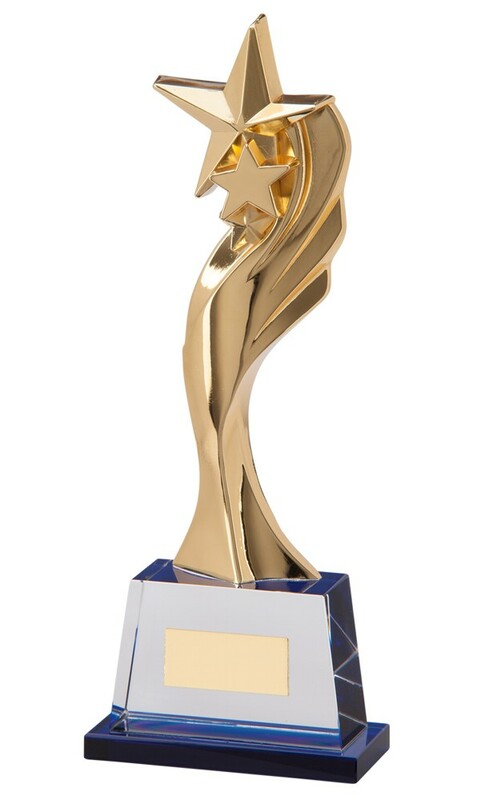 Gold solid metal star figure on a blue tinted crystal base. Complete in a presentation box.